Urban Animal Control is a full-service animal removal company located in Los Angeles, California. We perform Animal Removal services on wildlife such as Squirrels, Bats, Skunks, Snakes, Raccoons, Possums, Rats and Birds. We are an animal removal specialist and perform Wildlife Removal and Control in Pasadena, Santa Monica, Monrovia, Pomona, Long Beach, South Pasadena, Compton, Redondo Beach, Azusa, Covina, Alhambra, Arcadia, Vernon, Whittier, Glendale, Huntington Park, Hermosa Beach, La Verne, Sierra Madre, Claremont, Inglewood, Burbank, San Fernando, Glendora, El Monte, Manhattan Beach, San Gabriel, San Marino, Avalon, Beverly Hills, Monterey Park, El Segundo, Culver City, Montebello, Torrance, Lynwood, Hawthorne, South Gate, West Covina, Signal Hill, Maywood Bell, Cerritos, La Puente, Rolling Hills and Los Angeles. Also serving Irwindale, Norwalk, Bellflower, Rolling Hills Estate, Pico Rivera, South El Monte, Walnut, Artesia, Rosemead, Lawndale, Commerce, La Mirada, Temple City, San Dimas, Cudahy, Bell Gardens, Hidden Hills, Palmdale, Hawaiian Gardens, Lomita, Carson, Lancaster, West Lake Village, West Hollywood, Santa Clarita, Diamond Bar, Malibu, Calabasas California. We specialize in the removal and control of wildlife and nuisance pest animals from your Los Angeles CA home or business. Animal removal in Los Angeles is closely regulated by the County of Los Angeles and by the state of California to ensure humane and proper treatment of the wild animals removed. Before you hire any animal removal professional in Los Angeles CA, you should check to make sure they have the proper documentation from the California Department of game and fisheries and that they have the proper insurance and license to perform work to your home. The most common problems for Urban Animal Control technicians are squirrel removal, bat removal, raccoon removal, opossum or possum removal, bird and starling removal, rat control and removal and bat removal. 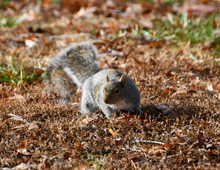 Los Angeles Squirrel Removal is a very common call in the spring and fall. Squirrels take advantage of the housing in Los Angeles and can be seen jumping from rooftop to rooftop and running back-and-forth on the power lines. Squirrel Removal and Squirrel control in Los Angeles is on the rise and should be handled as soon as a squirrel problem is discovered in your home or attic. The last thing you want to do is allow the squirrels to stay in your attic! Many homeowners in the Los Angeles California area have need for squirrel removal and control and are looking for an expert to call. 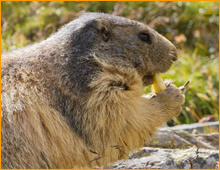 Los Angeles squirrel removal should be handled in a timely fashion so the squirrels do not chew your wiring and dig holes in your sheet rock as they are in the birthing process in the attic area of your home. Squirrels are usually tree dwelling animals in Los Angeles, California and can often be seen running along our Los Angeles streets and byways. Squirrels should not be a welcome guest in your home and as soon as you become aware of a squirrel in the attic or other area of your home you should immediately contact a professional Los Angeles squirrel removal specialist. 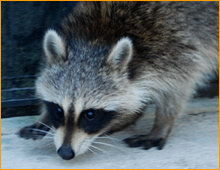 Los Angeles Raccoon Removal is another common animal removal problem we deal with in Los Angeles. Raccoons are very clever animals and they have learned to adapt very well to the suburban environment of Los Angeles. Raccoons dig in the trash, dig up yards and destroy everything just to obtain food. Raccoon Removal in Los Angeles is critical as the raccoons will get into the attic of your home and do a large amount of damage in a short period of time. Raccoons should not be allowed to stay in your Los Angeles attic and should be removed as soon as they are discovered. Raccoons can be one of the most destructive animals in California CA. Raccoons are responsible for an estimated $2 billion annually of the insurance claims throughout the United States. The destruction that raccoons do to your Los Angeles area home can be astronomical. The damage that raccoons do in Los Angeles area homes are raccoons tear up your ductwork, raccoons contaminating insulation and raccoons damaging your attic vents. Raccoons also pose a threat to your family's health by possibly bringing in diseases that are easily spread to humans. Los Angeles raccoon removal is needed as Raccoons should not be allowed to spend another night in your Los Angeles area attic or home. The need for Los Angeles Bat Removal has been on the rise for the last several years. 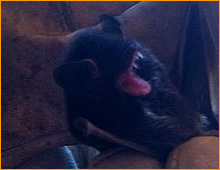 Bats have been found in throughout Los Angeles California in many houses and businesses. The most common problem associated with bats in your attic is the large amount of bat guano that builds up in your attic over a period of time. Bats should never be allowed to stay in your attic so as soon as bats are discovered in your attic call a bat removal and bat control professional in Los Angeles CA immediately. Especially an expert at Bat Exclusion. Bat removal in Los Angeles has been on the rise for the last 10 years and so has the need for bat guano cleanup. The average cost of bat removal in Los Angeles is relatively low in the initial stages however if this bat problem is allowed to remain, the cost of the removal of bats in your Los Angeles attic goes up significantly. Also there should be some degree of biohazard cleanup that goes along with having a bat infestation in your Los Angeles attic. The need for Los Angeles Bee Removal has been on the rise for the last several years. Urban Animal Control specializes in nuisance pest control and management which includes the removal of bees, wasps, honey bees, hornets and all other stinging insects that are found in the LA area of California. 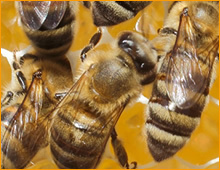 Bee removal can be a dangerous and a difficult task for the untrained professional. Avoid getting stung and call the bee professional to get rid of unwanted bees of any type from your home, chimney, attic, vent, or commercial property. In addition to bee control services, we also remove bees nest and hornets nests from your home. The need for Los Angeles Coyote Removal is a common request for Urban Animal Removal in LA. Foxes and coyotes are both members of the K-9 Family, This is a family of dog-like creatures that scavenge the woods and rural areas of the world in search of food, they are an opportunistic feeder, meaning they will eat what they can, when they can, they have been known to eat cats, dogs and other family pets in areas that do not contain a lot of natural food for them to survive. In Los Angeles, both the Coyote and the fox are considered real dangers to all household pets. 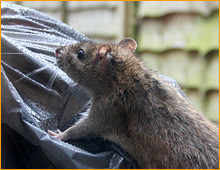 Rat Removal is a very common call as Rats are one of the most popular species of wildlife in Los Angeles, CA. Rats can be found living in attics, crawlspaces and basements in homes and businesses throughout Los Angeles, Tacoma and Puget Sound. They also take up residence in sheds, barns, outbuildings and even in cars. If there is shelter, rats will seek it! Rat control and rat removal should be initiated as soon as the rats have been discovered living in a home or business. Rats have a habit of chewing wires and on any structure which can lead to fires. Los Angeles Wildlife Professionals have the knowledge and training to get the job done quickly and humanely. Rats living in an attic or crawlspace can also contaminate the insulation with rat droppings and urine. Urban Animal Control professionals are experts in Los Angeles Snake Removal. There are a variety of snakes found in Los Angeles California, some of which are venomous. Snakes play any important role as both predators and preys, they consume other animals which is beneficial in keeping the rodent population down. Snakes are very dangerous and will attack if provoked. Normally snakes will enter your Los Angeles home to find a food source, such as mice and rats. A snake can enter any hole that a mouse can squeeze through. Sealing all crevices and spaces where pipes and electrical wires enter the dwelling will help prevent snakes from making your house their home. This task requires a professional to inspect the property, remove the snake and prevent the snake from being sealed in your California home. 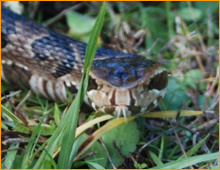 If you find a snake on your California property give Urban Animal Control a call to rid your residential or commercial property of snakes. Snakes are humanely trapped and removed. Los Angeles Wildlife Removal specialists can minimize damage caused to your garden and home as Opossums or possums can wreak havoc on your Los Angeles garden, sod and lawn. These rat-tailed mammals may hit even closer to home by causing damage to your house as they try to gain entry. Possums will take up residence under sheds, in hot tubs and outbuildings. A shed is normally elevated off the ground and is perfect for raising a family of Opossums or Possums. Opossums are North America's only marsupial, which means that opossum babies live in their mother's pouch. Opossums or Possums are white or gray with long, pointed faces, and bodies about the size of a house cat. Opossums' 50 teeth number more than any other North American mammal, and their canine fangs are very visible. Opossum or Possum Removal should be initiated as soon as the animal has been discovered living in your area. The Possum, also called a Virginia Opossum or Possum, should only be removed by people who understand the danger this animal can present. Urban Animal Control experts understand this danger and have the tools and training to safely handle these very strong animals. 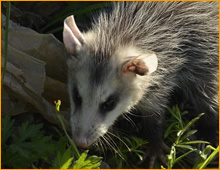 Urban Animal Control of Los Angeles CA is your local professional for Opossum or Possum Removal. Los Angeles Skunk Removal are experts in Skunk Control and Skunk Removal and our list of services also include Wildlife Management, Animal Control, Animal Removal and Cleaning and Repairs for Residential, Industrial and Commercial Properties. Skunks are slow-moving mammals and members of the weasel family, commonly identified by their jet-black fur with one or more white stripes running down their backs The coloration on these mammals vary from animal to animal. One skunk species the hooded skunk looks as though it is wearing a hood, with neck hair spread out into a ruff. Other skunks are spotted instead of striped. 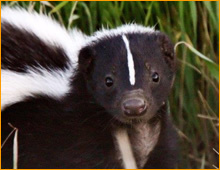 Humans are often frightened by the site of skunks because of their ability to spray a foul and pungent skunk odor to defend against predators. A striped skunk will be about as big as a house cat and a very shy. Los Angeles Bird Removal and Control is needed throughout the entire Puget sound area of California CA including Los Angeles, in Los Angeles CA. 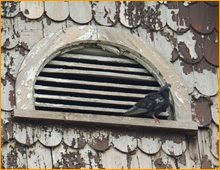 Birds, especially Starlings and Pigeons have a tendency to be a nuisance pest animal and are really hard to control. The removal and control of birds in Los Angeles CA requires a qualified company with equipment specific to bird removal. There are many products which deal with the removal and control of starlings, pigeons and other birds in the Los Angeles CA area. There are solutions like bird spikes, bird gel, electrical bird track, falconry and many other bird solutions they can be implemented in your Los Angeles California area home or office. 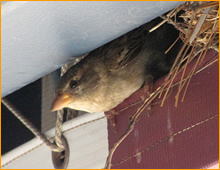 Call us for Los Angeles Bird Removal and Bird Control to find out what solution is best for you! These are just a few of the more common animal removal calls we deal with in Los Angeles California. We can also help with other animal removal problems related to skunks, foxes, coyotes, beavers or any wildlife that is found in the state of California. We are a privately held company and DO NOT deal with dog or cat calls, please contact Los Angeles Animal Services or Humane Society, (877) 872-9738. Providing Wildlife Control services in Los Angeles California including areas of Pasadena, Santa Monica, Monrovia, Pomona, Long Beach, South Pasadena, Compton, Redondo Beach, Azusa, Covina, Alhambra, Arcadia, Vernon, Whittier, Glendale, Huntington Park, Hermosa Beach, La Verne, Sierra Madre, Claremont, Inglewood, Burbank, San Fernando, Glendora, El Monte, Manhattan Beach, San Gabriel, San Marino, Avalon, Beverly Hills, Monterey Park, El Segundo, Culver City, Montebello, Torrance, Lynwood, Hawthorne, South Gate, West Covina, Signal Hill, Maywood Bell, Cerritos, La Puente, Rolling Hills and Los Angeles. Also serving Irwindale, Norwalk, Bellflower, Rolling Hills Estate, Pico Rivera, South El Monte, Walnut, Artesia, Rosemead, Lawndale, Commerce, La Mirada, Temple City, San Dimas, Cudahy, Bell Gardens, Hidden Hills, Palmdale, Hawaiian Gardens, Lomita, Carson, Lancaster, West Lake Village, West Hollywood, Santa Clarita, Diamond Bar, Malibu, Calabasas California, CA.